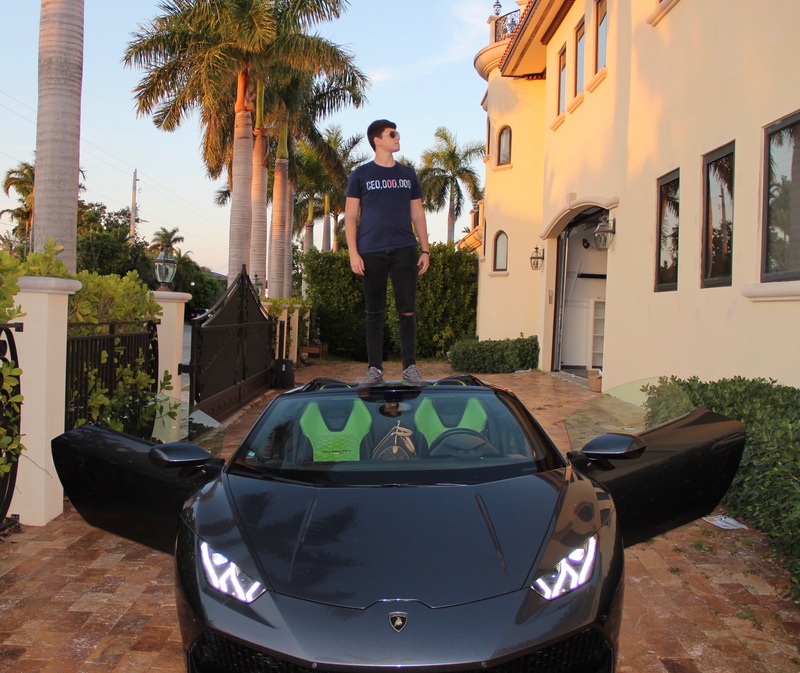 Nick Filchy, a 20 year old entrepreneur from central NJ , owns an assortment of instagram pages adding up to a whopping 1.3 million followers collectively. In today’s interview, I dig deeper into how he did it. Favorite quote: More followers, more problems. Tell us about Bangerbuddy. How did you come up with this idea? Nick Filchy: Bangerbuddy started out as an iphone app concept i had when I was 15 years old. The app idea never worked out, and instead of scrapping the whole venture as a whole I just rebranded and converted it to an instagram college lifestyle brand. Nick Filchy: Always through Instagram. Never really focused on any of the other social medias because they were irrelevant to me. I knew instagram was on fire and blowing up super quickly so i spent all my free time learning the ins and outs of the platform and experimenting ways to grow a massive following on instagram rather quickly. Nick Filchy: I have grown my brand through social media & social media only. Social media is the most powerful tool available to any person or company at the moment and should be utilized to its full capacity. You can share your products, your content, and your thoughts to the whole entire world with just a few clicks, that is a major marketing breakthrough and should be taken very seriously by every business. What are some secrets to virality on Instagram? Nick Filchy: You need to pick a niche & attack it hard. I chose the college party niche because it was personally something that interested me and i knew it interested many others so i put out the finest content on instagram related to this niche, 10-30 posts a day and always tried to post the most viral and engaging content possible. Posts where people can strongly relate to & want to tag and share with their peers are the ones that really take off and get you big follower gains. Nick Filchy: Cross promotion is the fastest way to grow on instagram. You basically team up with accounts in your niche & generally close to your size, and you tag each other in posts frequently, directing traffic to each others pages. If you properly execute this strategy you will see crazy fast growth on instagram. Did you attend or finish any college/university? Nick Filchy: I was a student at Rutgers University in NJ for one semester and then i dropped out. I did not enjoy school at all, i was miserable and constantly did not want to attend class. My business was taking off super fast and I could not handle the school work and stress along with my business work and stress. Personally, I have never been a believer in college education for a career in entrepreneurship. College doesn’t teach you any valuable skills to be an entrepreneur & in most people’s’ cases it just puts them in major debt and sets them back. Why build up debt when you can build up wealth? Spending 6 figures to get a 5 figure career just does not make sense to me. Where do you see yourself in a couple years? What’s your dream? Nick Filchy: I want to 10x my current fan base and sales, and have an amazing team running the whole operation while i start to work on other ventures. Right now i do mostly everything alone and do a great job of it but it would be ideal to have a lot of help from the right people. My dream is to be able to help other young and bright entrepreneurs with their ventures. I know firsthand how tough it is to start a business and make it even slightly successful. I would love to eliminate that hardship for other entrepreneurs and help them out with experience and capital.